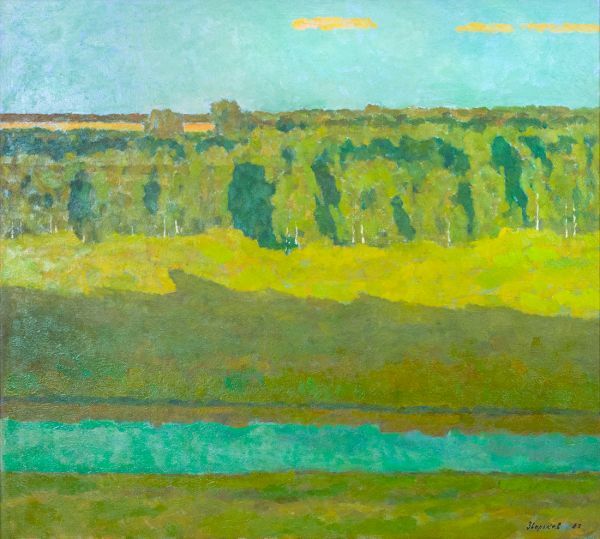 Buy works – Zverkov Efrem Ivanovich | (1921, Tver Region - 2012). Zverkov Efrem Ivanovich (1921, Tver Region - 2012). People’s Artist of the USSR, Corresponding Member of the USSR Academy of Arts. In 1975, he was awarded with the RSFSR State Prize. He worked in so called ‘severe style’. He studied at the Surikov Moscow State Art Institute (1943-1950) under V.G. Tsyplakov, P.V. Malkov. His graduation work, Children Listening to the Radio, was painted under the guidance of V.P. Efanov. He specialized in lyrical landscapes and genre scenes. 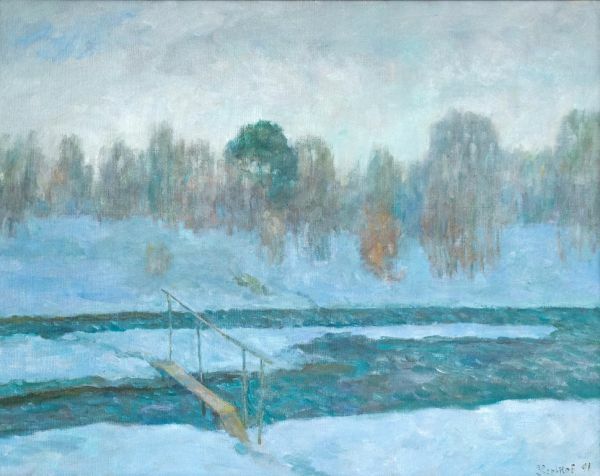 First exhibited in 1953, he participated in numerous exhibitions abroad (in Czechoslovakia, Romania, Poland, Italy, and France). He had a one-man show in Moscow in 1975. The artist’s work are in the State Tretyakov Gallery, the State Russian Museum, and in many regional museums. A misty morning in Bolshaya Pysa.